This is positioned in Gisenyi area in the Western Rwandan Province adjacent to Democratic Republic of Congo in the North of Lake Kivu. The Gisenyi Memorial site commemorates the lives of about 1,200 people who were killed in the 1994 Rwanda genocide. It was called Commune Rounge because people would be gathered from different places including the infamous Corniche road block and from the Nyundo area. 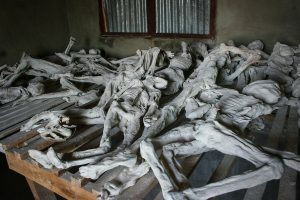 This genocidal site was the first to be put up with the hand of support from the IBUKA the group of genocide survivors. The Gisenyi memorial site also contains the grave of Mrs. Carr who founded the Imbabazi Orphanage to take care of the children who lost their parents during the genocide. Mrs. Carr was an American who had spent much of her time in Congo and Rwanda and the initiative of the Imbazi Orphanage was centered at transforming the survivors lives in areas of health, art, finances community and various developments have since occurred basing on this including; young womens support group, educational program for children, basic health education program, constructing latrines, rain water tanks for over 100 families, small scale initiatives focusing on basket weaving, sewing and sun flower production. 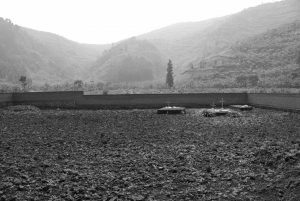 This site was previously a technical school before the 1994 Rwandan genocide and it is situated in Gikongoro Area, Murambi district in the Rwandan Southern Province. 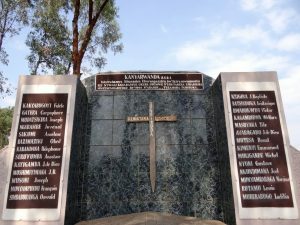 The Murambi memorial site is one of the memorial sites with great number of victims and is always visited by Rwanda safari travellers. It is recorded that about 50,000 people were killed at Murambi. This mass killing came when the Tutsis gathered at Bishopric center in Gikongoro after receiving the terrifying news of genocide and upon camping there, the Bishop together with the local Authorities including the Mayor held a special meeting and resolved that the Tutsis should go to the Technical School at Murambi which is located on a hill and promised to avail them security by the French soldiers. The Tutsis numbering to 65,000 people went to Murambi technical school alongside four soldiers who unfortunately disappeared on the following day. The Tutsis were deprived of water and electricity as the water pipe and power line were cut off leading to lack and starvation. 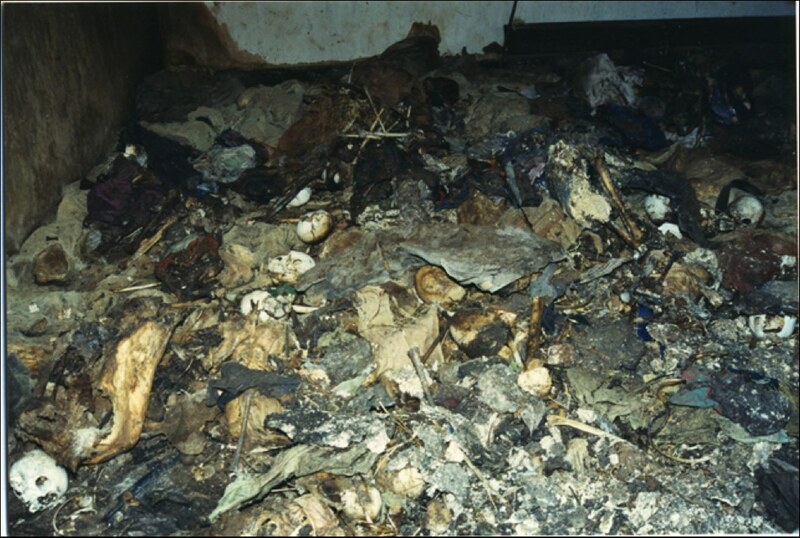 When they were suffering from the harsh living conditions, the Hutu militia arrived and fights started however the Tutsis managed to overpower them on the first attempt but on the second attempt the Hutu came in numbers with guns and other weapons and finally overpowered the Tutsis on 21st April, 1994 and about 45,000 Tutsis were killed and the escapees were cleared the following day at the adjacent church. 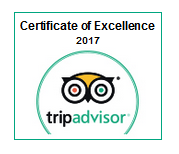 The Rwanda safari offer of Murambi is now a building full of skeletons and the informed guides are always around to give you a themed interpretation of the site and the history of genocide. The Gisozi Memorial site is located in in Gasabo district in the neighborhood of Kigali city. 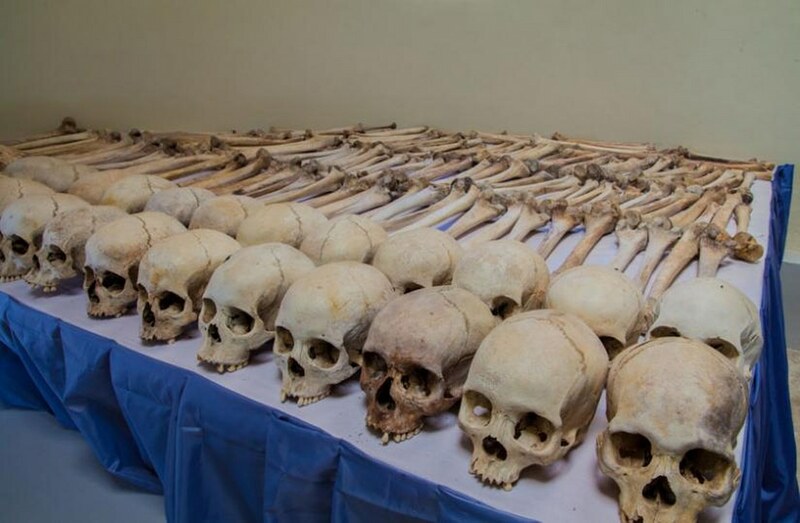 This memorial site has about 300,000 bodies of genocide victims and is anticipated to have the largest range of Tutsis that lost their lives in the bloody genocide. 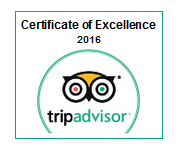 The Gisozi Rwanda safari offer has a photo gallery, cemetery, display house and the library. With its position which is within the Kigali city, the Gisozi memorial site can be easily visited while undertaking safaris in Rwanda. This is a church located in Bugesera region 25km from Kigali city. The Ntarama Memorial site is anticipated to possess about 5,000 people of which many were children and women. 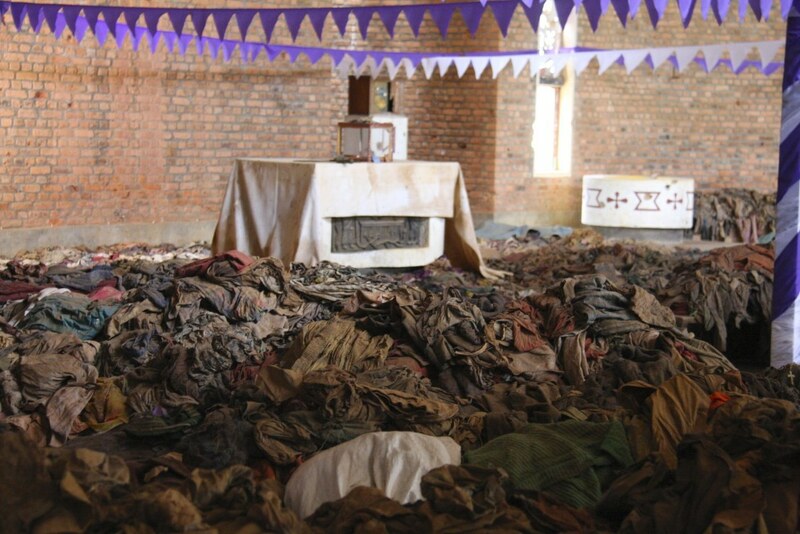 Some of the Tutsis at this site had hidden themselves in the Kitchen and unfortunately were burnt to ash while the heads of children were smashed on the walls of the church. Sadly to note is that a very long stick would be inserted in the womens private parts and pushed until if finds its way through the head. They could also be raped before getting killed. Today the walls of Ntarama Memorial Site possess blood stains, remains if victims clothes and bones scattered on the church floor. 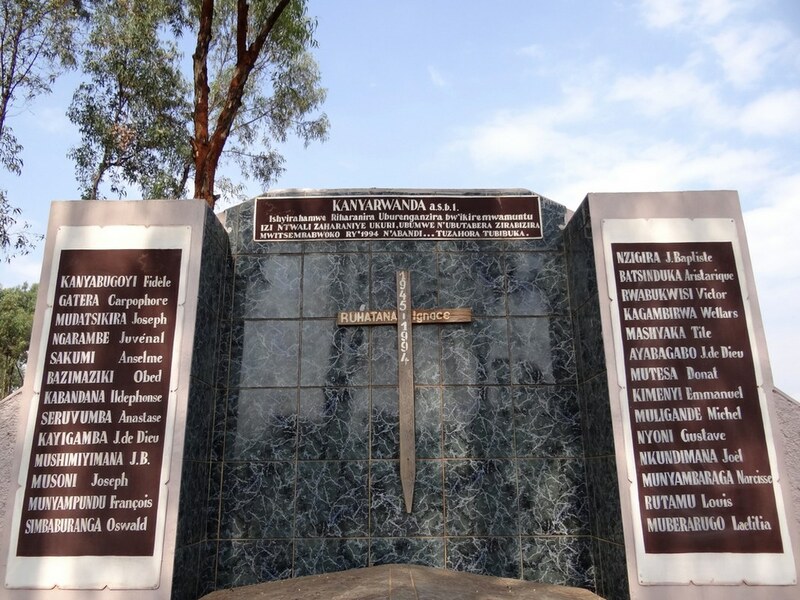 Nyamata memorial site is located in the Bugesera district about 35km in the south of Kigali city. 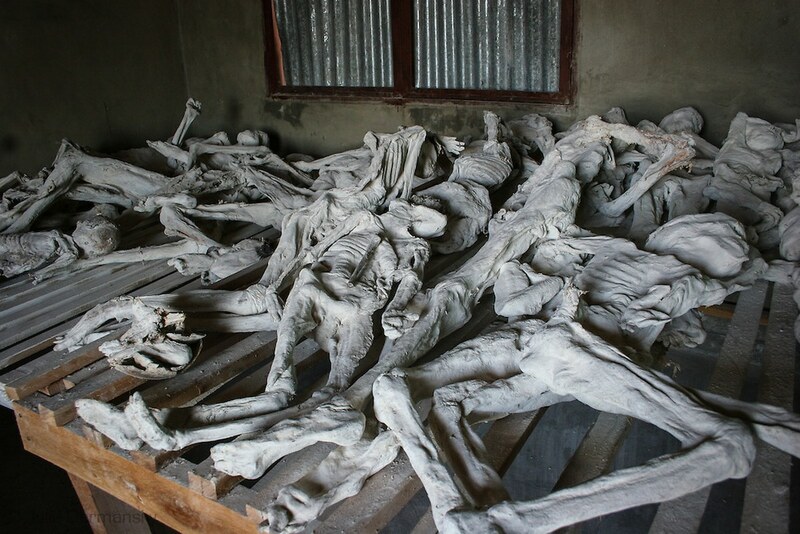 Tis site contains the bodies of about 10,000 people who were massacred in the catholic cathedral and other 35,000 people were killed in the compound on 10th & 12th April, 1994. It is unfortunate to note that at the Nyamata site even superior weapons like grenades and rockets were used to work towards the move of exterminating the Tutsi ethnic in Rwanda. Today, the door and walls of the church still contain the holes left by the grenades while blood stains are evidently seen on the church walls. 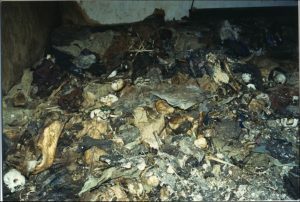 Bones are assembled in the respective coffins while the blood stained clothes can be seen all over. 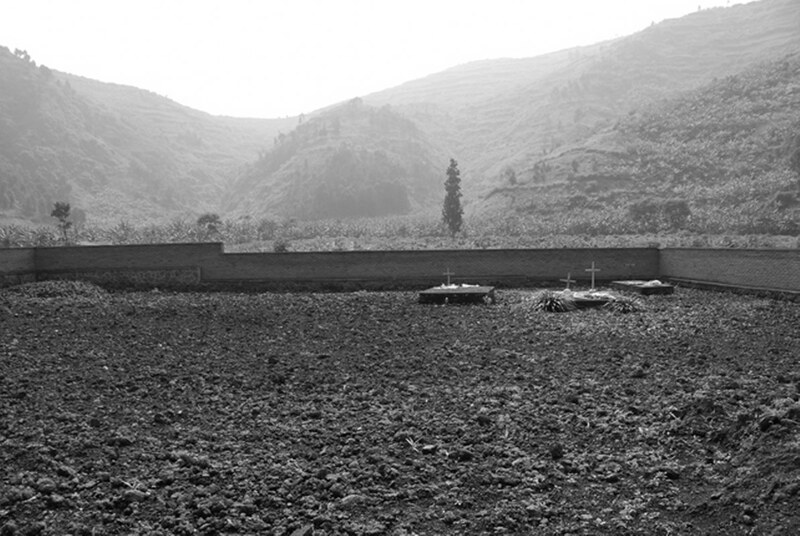 The Bisesero Memorial site is situated on the highlands of Bisesero close to Lake Kivu. It celebrates the efforts of resistance that were staged by the Tutsis of Bisesero during the genocide times. The Tutsis retreated from the adjacent areas Bisesero area and decided to stage a protective fight however they were later overrun by the Hutus because of their strong weapons. The resistance efforts of the Tutsis of Bisesero traditionally referred to as Abasesero who managed to fight to the last person are commemorated by the National Resistance Memorial. The area of Bisesero is anticipated to have lost about 50,000 people during the course of genocide. The Nyarubuye memorial site is situated in the south east direction of Rwanda close to the boarder of Tanzania. It is estimated that about 2,000 Tutsis lost their lives as they were trying to escape to Tanzania. What is touching at this site are two stone slabs in the compound that were reduced terribly by the sharpening of Machetes that were used slaughter people during the genocide. 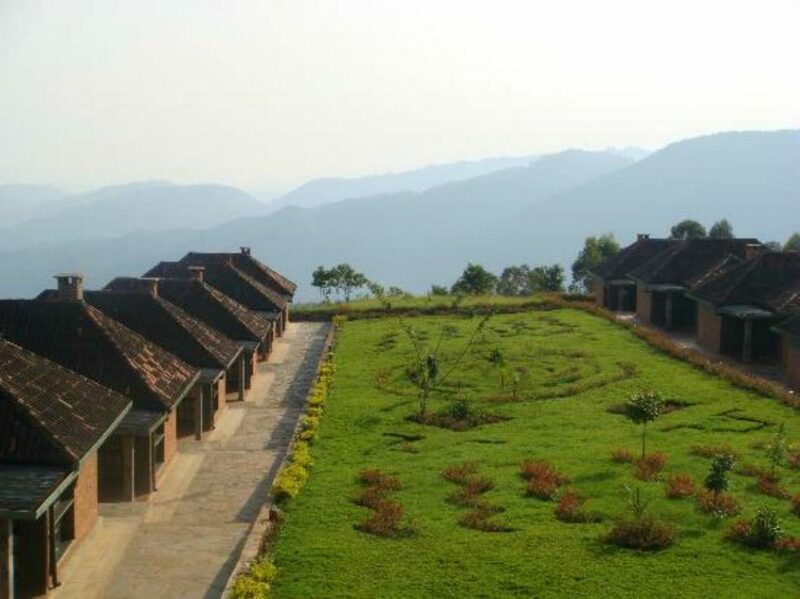 The Nyarubuye site was formerly a worship center and during genocide many Tutsis fled to it projecting safety while there but it turned down unfortunate when they were brought to death on 15th, 16th & 17th April 1994 by the Hutu militia under the command of Sylvester Gacumbitsi. Apparently, the site has been reinstated back to its former use regarding worship and education. However the evidence of genocide is depicted by three tables containing three hundred skulls and other tables containing femurs, bones and objects that were used in the genocide crisis. There is a cemetery at 100 yards below the church and a 20 foot square mass grave. This is situated in the Southern Province of Rwanda in Nyanza area commemorating the lives of 10,000 people who were victims of genocide. The Nyanza Memorial site was initially a school named Ecole Technique Officielle (ETO) which was administered by the United Nations. Apparently, the site lives to evidence the unmerciful desertion of Rwandese by the International Community during the times of genocide. The UN left the school leaving behind the Tutsis and sympathetic Hutus to be cleared. 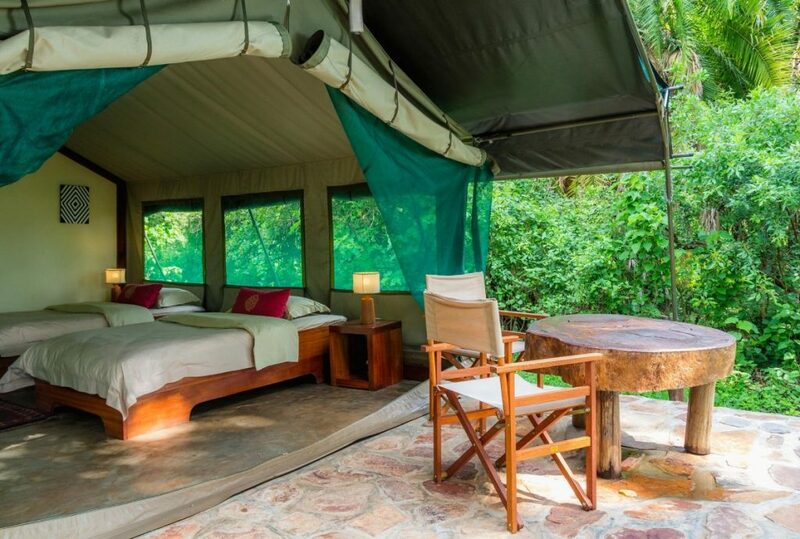 A commemoration ritual is performed on every 11th April to pay tribute to the lives of people that were killed during the genocide crisis and can be attended while on Rwanda safari. Camp Kigali is located in Kigali city and it stands to commemorate the ten Belgian nationals that lost their lives on the genocides first day. This stands as a commemoration of the ten Belgium nationals who lost their lives on the first day of genocide. This memorial site has a small museum and stone pillar memorial displaying each soldier and their age. 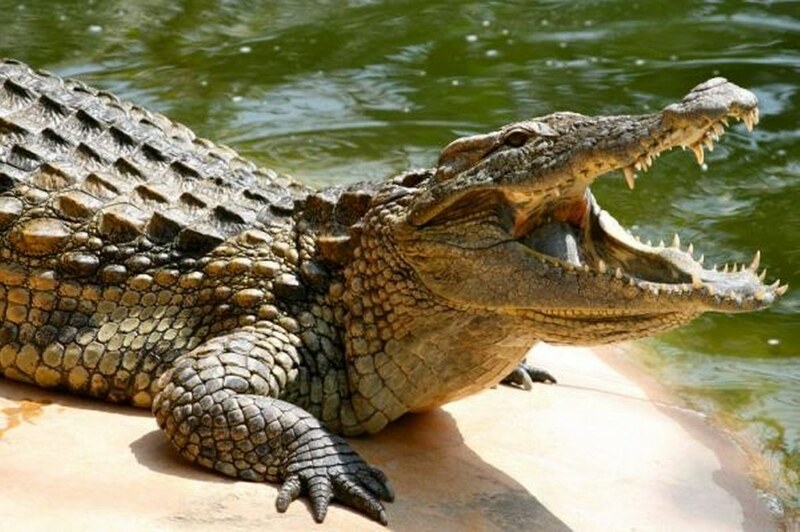 Also referred to as Kandt house, the National History Museum is a living testimony of the works of Richard Kandt a German doctor who encountered Rwanda in 1897 in search of the source of River Nile. The Museum justifies the relationship between the humans and the natural environment. The Natural History Museum is positioned 10km from Kigali Airport and interestingly to note is that it is the first and the only museum with Natural science collections in Rwanda. The great works of Kandt, his great collections regarding the natural history of Rwanda are showcased in this Museum. 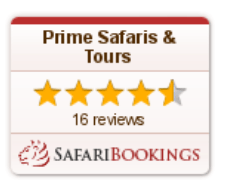 While on Rwanda safari, you can always visit the Natural History Museum since it is open daily from Monday to Friday 09:00am – 5:00pm and the experience always takes one hour. 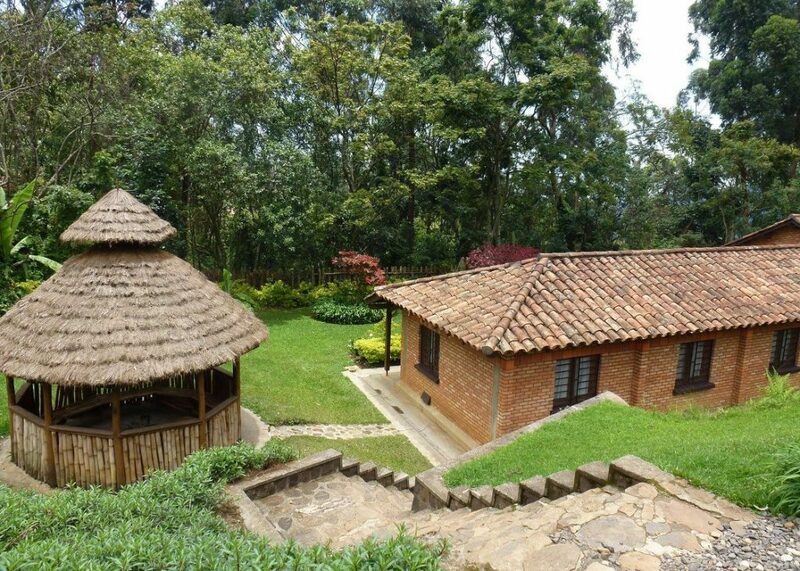 The Ethnographic museum formerly called the National Museum of Butare was inaugurated on Sept 18th, 1989 in Huye in the Southern Province of Rwanda 132km from Kigali city. 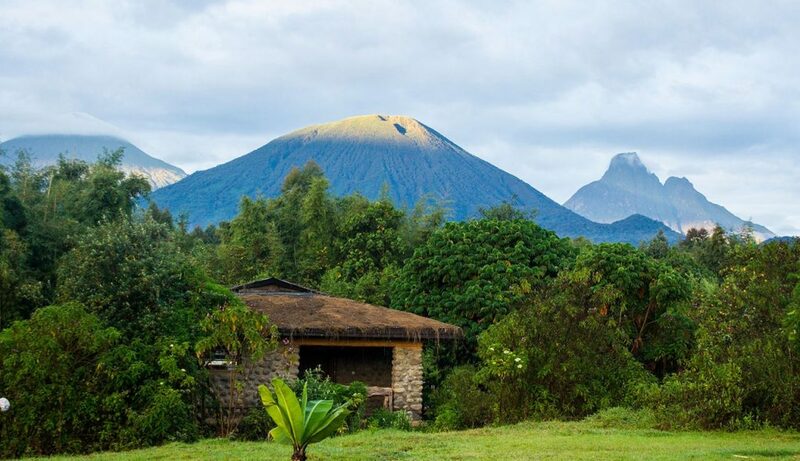 The ethnography museum is among the best museums in Rwanda an East Africa in general featuring seven galleries displaying historical, ethnographic, archaeological and artistic artifacts. The Museum also has visual aids that give greater in depth understanding of the Rwandas heritage. The ethnographic museum holds about 10,000 artifacts and is among the finest archaeological collections in East Africa. This is situated at 2km distance from the Airport of Kigali also referred to as Kanombe Airport. The presidential palace museum is a site and official residence of the former president of Rwanda Juvenal Habyarimana who ruled from 1973-1994. The site contains the remains of FALCON 50 presidential plane that was brought down on 6th April, 1994 in which he (President Habyarimana) and his Burundian Counterpart met the end of their dear lives. The National Art Gallery is positioned in Nyanza 85km from Kigali city. Encountering this site on your safari in Rwanda exposes you to contemporary art work in Rwanda which is rooted in the authentic creativity of Rwandese featuring their natural history and traditions. The National Art Gallery is housed in the palace of the former King of Rwanda King Mutara III Rudahigwa who died before he had occupied it. 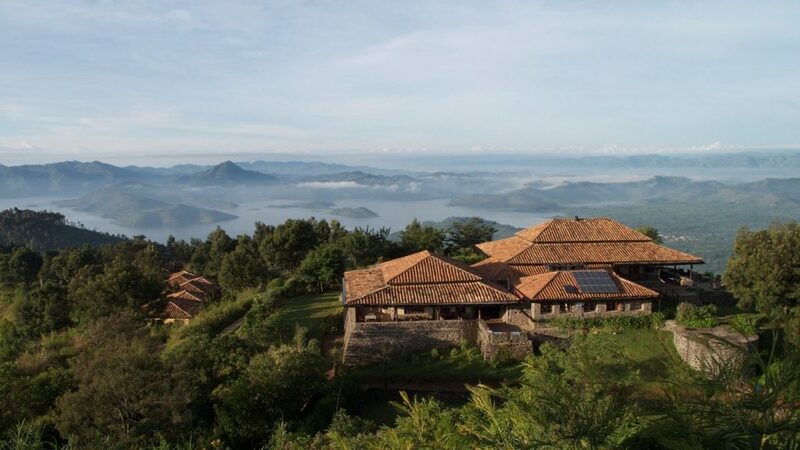 The Museum of Environment is located in Kibuye, Karongi Rwanda safari destination in the western Province. It is specialty museum focusing only on environment. It contains a herbal garden at the roof top of the two floored building. The exhibits to be the first in this Museum include Energy and its significance in the changing environment. 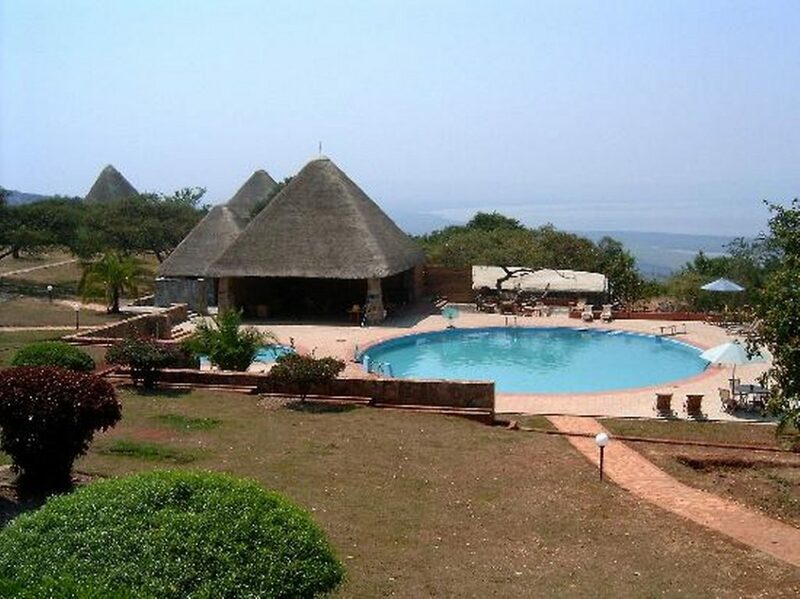 The Kings palace museum is situated in Nyanza 88km from Kigali city to the south and 2km from Nyanza town. The Nyanza palace was the traditional palace of the Royal Kings of Rwanda King Yuhi V Musinga who was overthrown by the agents of colonialism and his throne was taken over by his son King Mutara III Rudahigwa. 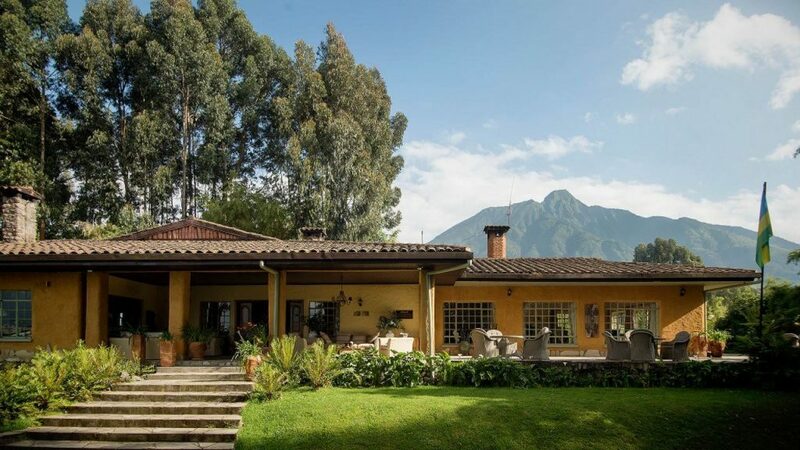 The palace is built in the traditional architecture of Rwanda and today it stands as a living evidence of the monarchical government in Rwanda during the pre-colonial era. The Nyanza palace has the traditional Inyambo Cows which have long horns that were kept by the traditional Tutsi though they date back to the era of the Bachwezi who had a far reaching effect on the setting of the Interlucustrine region. The encounter to Nyanza palace on Rwanda safari also exposes you to Mwima hill where King Mutara III and Queen Rosalie Gicanda are buried. The Librarie Ikirezi is the Rwandas first Library that was started with the aim of becoming the Knowledge sanctuary and setting ground for liberal idea exchange. 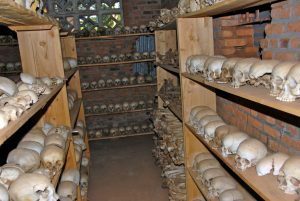 The Librarie Ikirezi has a wide range of books about Rwandan genocide. This cemetery has three important graves along Kamironko road past the Amahoro Stadium. The site has the body of Fred Rwigyema one of the founders of Rwanda Patriotic Front who died on Oct 2nd, 1990 during the early stages of the invasion. The another grave is for Agathe Uwiringiyimana the Prime Minister of Rwanda who lost his life on 2nd Oct, 1990 and an unknown soldier who stands as a living memorial for all genocide victims. 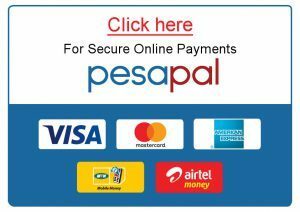 The Remera Heroes Cemetery can be encountered on Rwanda safari.